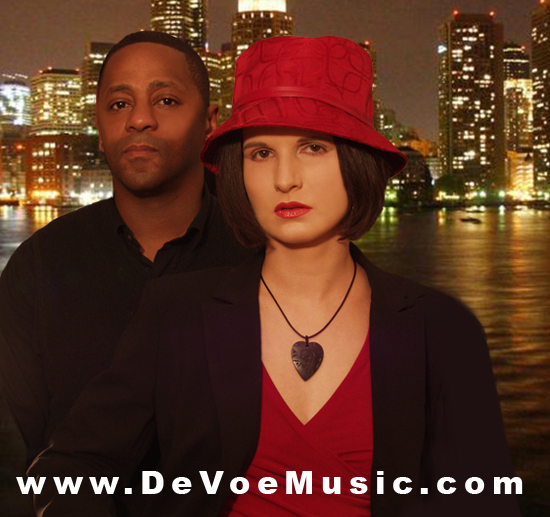 R&B, Funk and Soul Artists DeVoe Music, a Boston-based husband & wife duo, skillfully blend R&B, Funk, and rich vocal harmonies into soulful groove music. Compared by critics to greats like Lisa Stansfield, Jody Watley, Shalamar, Heatwave, S.O.S. Band, and Taylor Dayne, DeVoe Music's compositions incorporate classic 80s R&B and Funk with contemporary Pop and Dance styles. Their warm and rich sound features beautiful vocal harmonies and skillful instrumentation. DeVoe Music's live show delivers a masterful performance of original songs in the genres of R&B, Funk, Soul, Hip-Hop and Pop music. Together they are a dynamic duo perfect for benefits, parties, weddings, anniversaries, and birthdays. Troy and Alexa DeVoe are currently performing locally and working on their upcoming studio album. Boston's own Troy DeVoe (keyboard, vocals, producer, composer) recorded his first album "Midnight Magic" with his band Tow Zone in 1985 on Starguard Records. In 1986 his follow up hit single "Summertime Love" (Tow Zone) rose to number 25 on the UK billboard charts. He also wrote and recorded "Be Your Lover" (Tow Zone). In 1988 Troy received the Maurice Starr Enterprise Award for "Best Group in Boston" - "Tow Zone". His new found fame allowed him to open up for stars like New Edition, Bobby Brown, Sky, Alexander O'Neil, SOS Band, Rene & Angela, and Sherelle. Alexa DeVoe (vocals, percussion, producer, composer, engineer) originally immigrated to the US from Vienna, Austria. With many years of formal vocal training (Opera, Musical, Jazz), music recording, and live performance experience, Alexa sings with soulful emotion, great dynamic range and perfect vocal control. In 2013 Alexa's song "Happy" was chosen as the grand prize winner of the Steintoberfest Songwriting and Recording contest hosted by Steinberg/Yamaha USA.